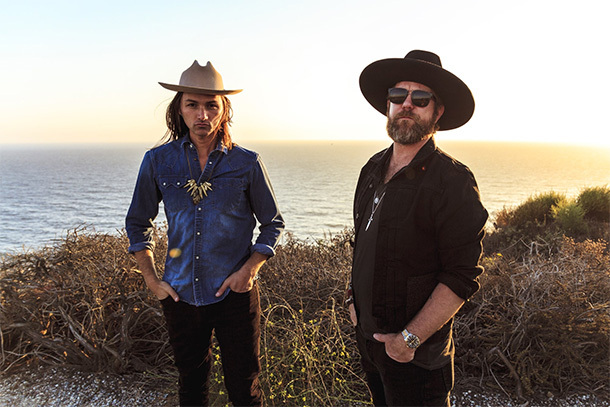 After a successful tour as the Devon Allman Project, Devon Allman and Duane Betts are forming the Allman Betts Band. The band also includes Berry Oakley Jr. on bass (son of original Allman Brothers bassist Berry Oakley), Johnny Stachela (slide guitar), and percussionists R. Scott Bryan and John Lum. The Allman Betts Band is set to release its debut album in 2019, which will be produced by Matt Ross-Spang. The album will also feature guest appearances from Rolling Stones keyboardist Chuck Leavell and Peter Levin (Gregg Allman’s keyboardist). The group will launch a worldwide tour in March 2019. Blues Rock Review caught up with Allman and Betts earlier in the year to discuss the project.